Looking for something to do this summer? Curious about sailing? Come check out Westwood Sailing Club and see what you’ve been missing all this time! Meet our crew, tour the clubhouse, and learn more about Westwood's membership! A returning member? This is the perfect time to complete your membership form and drop off your fees. If you're unable to make any of these dates, please contact membership@westwoodsailing.ca with any questions you may have. We hope to see you soon! Come for the Albacore racing, stay for the dinner and party! Not a racer? Come to the dinner and party! 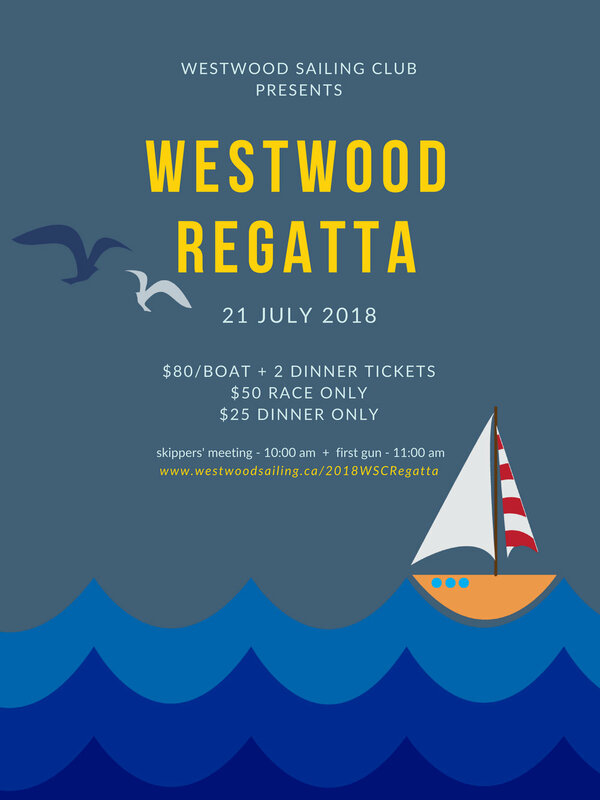 Join us for our annual Westwood Regatta!!! Due to weather conditions, the club has decided to cancel its April 14th Open House. The next and final Open House will be on Sunday April 22nd. If you're unable to make it down, please email membership@westwoodsailing.ca to arrange for a private tour. For potential new members - meet our crew, tour the clubhouse, and learn more about Westwood's membership! For returning members - this is the perfect time to complete your membership form and drop off your fees. Come join us for a drink, catch up with friends, and register for the season! Have friends or family who are interested in sailing this season? Bring them along! Brand new and have a ton of questions? Come on down, meet the gang, and get all your questions answered! We'll have people down at the club for a number of open houses throughout March and April. If you're thinking about joining this is a great time to come down, see the club, and get all your questions answered!